In the mid-1960s, chemical giant DuPont invested millions in the promotion of Corfam, a synthetic substitute for leather. When the product made its first public appearance at the Chicago Shoe Show in the autumn of 1963, it was greeted enthusiastically. All DuPont had to do now was to find out where exactly Corfam’s place in the footwear market would be. The female shoe market (47% of total in US) was itself divided – between comfy, everyday shoes and ‘fashion’ shoes made for special occasions. For all Corfam’s strengths, it was not as flexible or ‘skin-like’ as ordinary leather, and therefore was not suited for comfort or everyday use. And regarding fashion shoes, polyvinyl chloride (PVC) was fast becoming popular owing to its extreme low cost. Furthermore, the leather industry was lowering its prices and improving quality. This factor, combined with the growing popularity of vinyl shoes, led to DuPont’s announcement in March 1971 that they were to withdraw Corfam. Although Corfam was long-lasting, it lacked the flexibility and ‘breathability’ of leather. It also proved too expensive. When a product is unable to be the best in terms of either quality or value it faces an uphill struggle to convince consumers of its merits. Just in time for Passover, Laurie Richter won the right to keep her mezuzah on the doorpost of her rented Fort Lauderdale condominium. But that’s not good enough for Attorney General Bill McCollum. He gave the association at The Port Condominium, in the 1800 block of Southeast 17th Street, until 5 p.m. today to change its rules so all its Jewish residents can hang mezuzahs. “A resolution [by the board] that allows only Ms. Richter to display her mezuzah does not satisfy the public interest,” Bethel said. The association’s rule prohibits anyone from attaching, hanging, affixing or displaying anything on the exterior walls, doors, balconies and windows, which are considered common property controlled by the association. Richter, 28, a lawyer, rented the two-bedroom apartment on Dec. 1 and, using double-sided tape to prevent damage to the paint, put the mezuzah on the doorpost. She said she didn’t consider it a violation of the rules because she saw Christmas wreaths on other doors. Shortly afterward, the condo association ordered her to remove the mezuzah. Incensed, she contacted newspapers and television stations. Eventually, her case received national coverage. The board on March 26 told her she could keep the mezuzah but did not give a reason. The rule applied only in her case. Richter said the board’s response was too limited. I’ve always loved Barbie. She came into my life when I was six-years-old and bedridden for three months. My aunt sent me a Barbie along with the doll’s extensive miniature wardrobe. I kept her outfits in a black patent leather wardrobe created just for her clothes. I spent hours dressing Barbie in ball gowns, tennis skirts and my favorite—a bridal gown. Through it all it never fazed me that Barbie was blonde and tall and I was not. She measured an impossible 36-18-38, but I attributed that to the fact that she was a doll. Rabbi Barbie: So, why not? Women rabbis are on the cutting edge in Judaism. Rabbi Barbie comes with tiny satin yarmulke, prayer shawl, tefillin, silver kiddush cup, and Torah scrolls. Optional: tiny mezuzah for doorway of Barbie Townhouse. You can’t sow an apple seed and expect to get an avocado tree. The consequences of your life are sown in what you do and how you behave. Bothered by curly tefillin straps? This one’s for you! 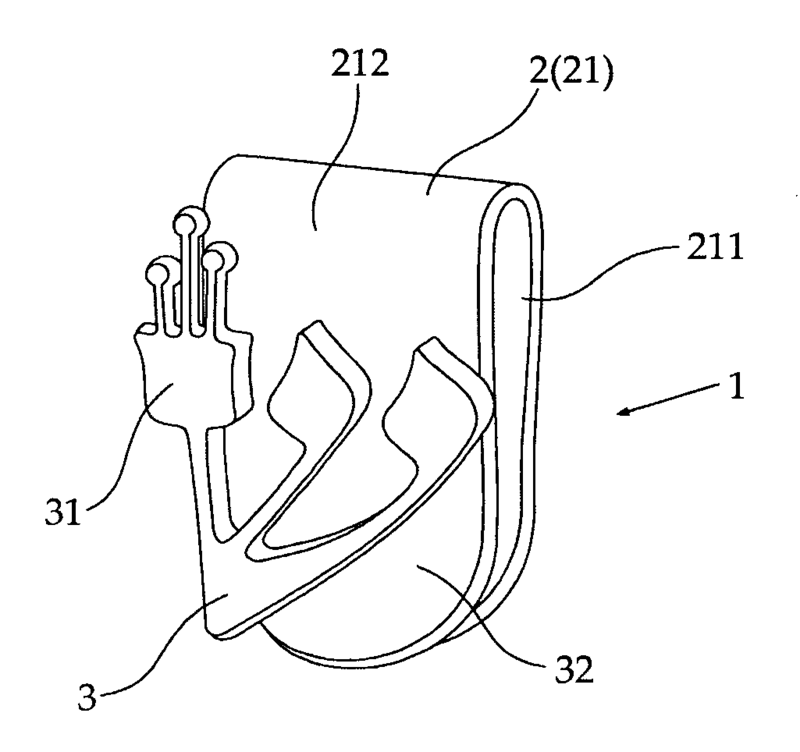 An accessory designed to hold straps tefillin straps and straighten them out (preventing coiling), which comprises a attaching device and a holding slit, whereby the attaching device is attached to the worshipper’s clothing and the said strap is inserted through the holding slit. This entry was posted in Uncategorized and tagged Deuteronomy, Devarim, mezuzah, self-made man, Shema, tefillin. Bookmark the permalink.